Jodi The Trainer's July 10th Facebook Live-Chat! Jodi the Trainer: Sugar! By far, the most important thing that we can cut out of our diets and see huge success as a result. Since it seems to be added to everything lately (from ketchup to cereals, to beverages). By eating simple, unprocessed foods, you will decrease a lot of your sugar intake. Stick with Lean proteins, vegetables and some fruits each day. Daniel: Hey Jodi I'm a snap fitness member but I'm kinda new to working out. Could you give me a good workout for a beginner? Jodi the Trainer: Your best bet is to start with a balanced approach of both Cardiovascular and strength training. 2 days per week, do a total body strength program. This will include 1 exercise for each muscle group, 2 sets of 10-15 reps each. 2 days per week, do cardiovascular work. This will include 1 day that is higher intensity but, steady pace the entire time. The other day should be interval based – high intensity for 1min followed by recover or low intensity for 1min. 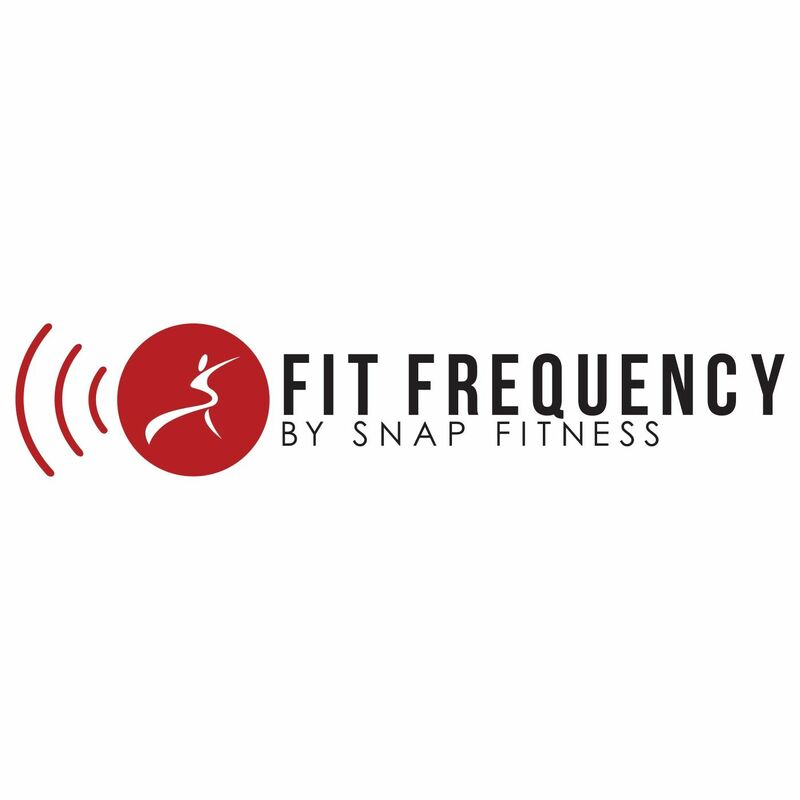 This doesn’t mean that this is the only program but, it is a great program for a beginner where you can gauge your progress and increase strength or cardio depending on what you enjoy most or what is giving you the best result for your efforts. Good luck! Cassie: Side aches just kill my runs! Suggestions? Seems like I've tried everything! Jodi the Trainer: I wish I had the perfect answer for you. There is some research that shows that stretching is not helpful for most people because it has more to do with your breathing and diaphragm. To prevent this, start with a very easy, very slow warmup. It’s better to avoid side stitches all together! Then, develop your core strength (as it supports the diaphragm and the oblique muscles). To do this, incorporate planks, planks with a opposite knee to elbow twist, and mountain climbers. Keep me posted on my facebook page on how this works for you! Jillian: I need advice on how to prevent shin splints! The best stretches or whatever may help. I get them even just from brisk walking and I would like to be more active. Thanks! Jodi the Trainer: Shin splints are best avoided rather than trying to fix them once you have them. You can probably relate! To avoid them, make sure that your shoes not only fit well but, are shoes specific to your sport. I have done something as simple as switching brands and I felt better. Also, make sure that your shoes are big enough. Many people make the mistake of buying the same size as their dress shoes. Running shoes should be slightly larger. You can also try to improve core strength so that you are running “lighter” on your feet. The more core strength, the better your pelvis and knees are aligned (preventing the problem in the first place). Build up your mileage slowly. Start with whatever distance you can do without shin splints and add 10% per week from there. Jodi the Trainer: Congratulations on your recent weight loss Donna! I don’t know your current weight and height but, given your exercise program, you may need to increase your calories a bit, and increase your strength training in an effort to reboot your metabolism. You can add 200 calories per day and increase strength training (either intensity, total volume of sets/reps, or total number of days). Do this for 4 weeks and then go back to your 1200 calories and you will be pleasantly surprised. It can help to boost you past those last few pounds. Shannon: I do cardio & weights. I'm basically lean, but struggle with a little flab around stomach. How do I get rid of it? Jodi the Trainer: If you are lean (low bodyfat) from your cardio and weights, it may be a combination of loose skin, genetics, or bodyfat. You can’t do much about genetics or loose skin but, you can work that area little harder for the next 4-8 weeks (both from a diet and exercise standpoint). Focus on core 4 days per week and make sure that 2 of those days include added resistance to your ab routine (ab machine, using dumbbell, etc). As for diet, be strict for the next 4-8 weeks with an increase in water consumption, a decrease in alcohol, and a focus on lean proteins, lots of cruciferous vegetables, and very low sugar. This should help tighten up your skin and eliminate any bloat in your core as well. Vickie: I need to lose my stomach Wat is best way to do that? Jodi the Trainer: I am going to refer to the question above and ask that you do the same thing: nutrition and a focus on abwork over the course of 4-8 weeks: PLUS, include at least 2 days per week of high intensity intervals: 1min hard all-out effort and 1min recovery, easy effort. “Focus on core 4 days per week and make sure that 2 of those days include added resistance to your ab routine (ab machine, using dumbbell, etc). Scott: What muscle groups can you train every day? Mainly, doing exercises that support your body with very little weight or intensity can be done everyday. I like pilates and yoga for daily activity plus core specific work without added weight. Examples include, planks, breathing exercises, quadruped balance (on hands and knees, pick up one arm and opposite leg to work balance.). Overall though Scott, all muscles repair and recovery through proper rest, hydration, and nutrition. Every body (including professional athletes and supermanJ), need a break each week. Lex: How do I make my biceps bigger and what kind of crunches to get a six pack? Jodi the Trainer: Work your biceps at least 3-times/week and choose a variety of exercises. Each workout should include 3 different exercises for biceps. Plus, ensure that you are choosing a heavy enough weight to make the last few reps challenging and nearly impossible to complete. For muscle growth and size, I would do 6-8 reps as heavy as possible. As for a six-pack...There are a few factors - one being genetics. Though many can have a flat stomach and some muscle tone, it can take others years to develop a six-pack (or 2-pack, 4-pack, etc). -I would encourage you to do a combination of abdominal strength days (with weight machines and dumbells) followed by core work that target stabilizing muscles (like planks, low back extensions, and pilates-style exercises. -Setup a nutrition plan with a professional trainer that can give you a diet that both helps you increase muscle and then burn bodyfat. This process takes a minimum of 8weeks to get started. The first 4-6 weeks is a building plan that would include a lot of brown rice, oats, lean protein, and vegetables – where the “cutting phase’ of your diet would cut back on the carbs and increase the lean protein and veggies. Ultimately, you need the time, calories, and training load to increase muscle first. Mommymonte: I need help with my bat wing arms. They are a totally disgusting! Jodi the Trainer: You will need to strengthen those arms to make that happen – but, it is possible! First, make a commitment to doing 2-3 days of strength training for your upper body. Do a combination of shoulder, bicep and tricep exercises. Do at least 2-3 exercises for each muscle group, 10-15 reps at a weight that makes is extremely challenging to complete the last few repetitions. Good luck! Tina: How much cardio per week to lose weight? Also what's a good routine in the other days of workout? Jodi the Trainer: How much cardio you do depends on how many calories you are currently taking in and how much muscle you have. Cardio does burn fat but, it also burns some amount of muscle along with it. I love High intensity intervals that include cardio (1-3min of high intensity), followed by a strengthening exercise like squats or pushups, followed by 1min of cooldown cardio. Repeat this for 30-45minutes 2-3x/week. On the other days, do 1 day of easy/moderate longer cardio and 1 day of total body strength training. This strength day would include 1-2 exercises per muscle group, 10-12 reps and 2-3 sets of each exercise. Felicia: Jodi, I have been working out 7 days a week, 3 hours a day for the past 2 weeks as part of MMA training. I usually have a light breakfast consisting of egg whites, wheat toast and some sort of fruit. Usually, when I am finished with my workouts, my appetite is ridiculously high and I sometimes get a burger, what are some good healthy foods that can fill me up so I won't go for the unhealthy choice?? Jodi the Trainer: Sometimes people are ravishing post-workout because your workout was very anaerobic (which is great but, tends to burn more muscle glycogen for fuel then fat “during” the workout). I would recommend bringing a workout drink along with you to consume immediately after the workout. This should consist of 10grams carbs and 20grams of protein (a half of a banana, protein powder and water will do nicely too). Then, have your breakfast or meal when you get home. You will keep muscle, lose fat, plus have the “willpower” (ie, blood sugar balance!) to make great food choices during those meal times as a result. Stephen: Hey jodi, I need some ways to lose pup fat around my chest and get abs could you please help me? Jodi the Trainer: I don’t know that I have ever heard of pup fat around the chest – LOL. But, Ultimately working the chest area needs to focus on variety. Work the chest and abs from all angles, using a variety of types of equipment . Try incline dumbbell chest press, cable flys, medicine ball pushups and mix things up. Chest my above responses on getting abs to show up in the comments above. Remember it’s all about keeping muscle, burning fat, and keeping the metabolism fire burning. That is, more muscle, enough calories from quality sources like lean protein, vegetables and lots of water! Jacey: Jodi- sweets are my weak spot. I can usually do great but when I have a craving I almost always snap. Can you suggest ways to control the cravings? Work outs aren't a problem for me. I can out work most people I know but I fail in the kitchen. Vickie: Knee replacement patients, it's been a full year since the surgery, what do you recommend as far as exercise. Jodi the Trainer: First off, make sure you get clearance from your doctor. Then, focus on low-impact exercises. I love Octane Ellipiticals are great or stationary bikes. Finally, make sure you strengthen the muscles surrounding your knee. Leg presses are perfect – also, hamstring curls are great (as most people tend to have overly strong/dominant quads). Crystal: I need to know the best way to work my core while rollerbading? Jodi the Trainer: Rollerblading in general is great for the core – especially, if you are swinging your arms. The movement requires balance and stability while pushing back and outside with your legs while pumping your arms with the opposite arm/leg movement. Keep those arms swing and try to find some uphills to work on while blading so that you can increase the demand from your obliques and arm swing. To supplement your rollerblading, try core exercises in the gym that include plank, plank twist (one knee to opposite elbow and alternate sides). These will help with stability and strength of hips, core, and shoulders to balance your workout. Molly: I have tendonitis in my right elbow, but I really want to build arm strength. Is there some things I can do now, or should I wait until my elbow heals fully. Jodi the Trainer: Personally, I would wait for clearance from your doctor first. If you have tendonitis, then that area is still inflammed and needs rest to recover. You can also work your arms without flexing/extending your elbow joint. I love straight arm pulldowns with a straight bar to work the back, chest flys, planks, lower body, and abdominal work can make up the most of your workouts until your elbow is fully healed. Allen: Jodi, is Crossfit enough for a full body workout. I crossfit 5 days a week. I am following paleo by the way. Do I need to lift as well? Jodi the Trainer: I love Crossfit but, think that the WOD’s you are doing include enough strength training that you shouldn’t need additional strength training. Depending on the weekly plan for workouts, you might step into the gym to target train any areas that you feel didn’t get worked as much during your cross fit workouts. Also consider that you are doing total body workouts and using big muscle groups to complete a WOD. I think you hit those hard, maybe add in some low impact cardio intervals and any core work in the gym and you are good to go! Tracy: I recently bought a protein powder to take after I workout and its 100 calories per servung. Is there any difference in the protein powder women should use vs men? Jodi the Trainer: No real difference in the protein needs of men and women – it has more to do with height and weight. In general, look to get 1 gram of protein for every 1lb of body weight. For example, if you weight 150 lbs, then try to get 150 grams of protein each day. Chris: When there is no other option, what are the best fast food choices when on the go? I've seen people load up a Subway sandwich thinking it's healthy, but they would have been better off with a hamburger and fries! Just curious what your thoughts are on this, with 3 kids it can be hard to make perfect choices 100% of the time, so I guess I'm looking at decent alternatives to keep in the back of my head. Jodi the Trainer: I love this question! This is just real life isn’t it? Ideally, you plan ahead and pack food for the day, the trip, or for your family but, sometimes you just need the convenience. I just did a blog on nutrition, "The Difference Between a Treat & Snack." Here, I point out some great options for on the go snacking. Personally, I try to avoid fast food. But, if I have to make a choice for myself and my family, I really like Chipotle because of the vegetables and quality protein options. Even though they have received some bad press lately with regard to their GMO included ingredients (it’s almost impossible to avoid as a restaurant). They STILL source their ingredients from local, organic farmers. I can tell the difference. Also, you might think I am crazy, but I have been known to stop at a grocery store for bananas, a loaf of bread and a pound of turkey to feed my family on the go. The only difference between that and fast food is there is not drive-thru. So, it makes us get up and move more too! Cindy: What is the best way to get rid of a muffin top? Jodi the Trainer: Consistent diet and exercise will slowly melt that stubborn abdominal and waistline away. I know it’s frustrating but, you can’t out exercise a bad diet and you can’t spot reduce. So, stick with a balance of cardio, strength training, and eating healthy 90% of the time and you will start to see results! David: When I work out on a machine, I start by doing 4 sets of 15 reps and slowly work my way up to 5 sets of 25 reps before I add any weight and start over. I make sure I can do the 25 reps comfortably for a week before I move on. Does this sound like a good system? Jodi the Trainer: If your goal is muscle endurance than 25 reps works. For the most part, people I work with are looking to gain strength or additional muscle. Personally, I would shoot for being able to complete 3 sets of 10-12 reps and then look to adding weight. Even if you can only complete 8 repetitions of the new weight, you will stimulate your muscle from the change and the intensity. Plus, you will avoid any overuse injuries that can result from doing too many sets of high repetition exercises. Hope this helps!